Andrew McDonald is a reader and writer of books for young readers. 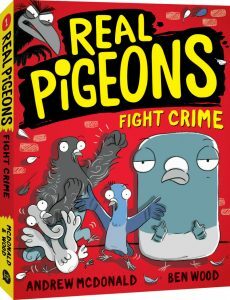 His brand new series REAL PIGEONS debuts in 2018, with hilarious illustrations by Ben Wood. His first children’s novel, The Greatest Blogger in the World featured the story of Charlie Ridge, a young blogger navigating family, friends and the perils of internet life. His second novel Son of Death, a black comedy about a family of modern grim reapers, was named by The Age as one of the ‘best books of the year’ in 2015. He is also the creator of a blog post about ‘camera loss’ that somehow went viral and he wasn’t embarrassed enough to decline an invitation to be a Cleo Bachelor in 2011. Andrew is an avid reader of children’s and YA literature. 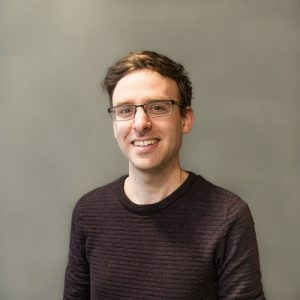 He has worked for Readings bookshop in Melbourne and at the flagship Foyles bookshop on Charing Cross Road in London, where he was thrilled to put his knowledge to work as a children’s bookseller. He has previously judged the Young Adult category of the Victorian Premier’s Literary Awards and the Centre for Youth Literature’s Inky Awards. Andrew is a graduate of RMIT’s Professional Writing and Editing diploma and his writing has taken him around the world. He completed an artist residency at Caldera Arts in Oregon, USA and a May Gibbs Children’s Literature Trust fellowship in Adelaide. He is a regular presenter on the schools circuit in Australia, conducting writing workshops; talking about his writing life; and sharing the stories and experiences behind his books. Enquire about booking Andrew for your school here.